The main goal of Treatment Foster Care is to provide temporary foster care services for a wide variety of children and adolescents who are often struggling with significant emotional, behavioral, social, and/or medical needs between the ages 0 through 18. Treatment Foster Care parents provide a safe home for children coping with trauma. These homes can be used as a preventative measure to assist children struggling with emotional and behavioral trauma before a residential placement becomes necessary. They also assist children who no longer need the structure of a residential placement, yet require additional support as they further develop their coping skills. 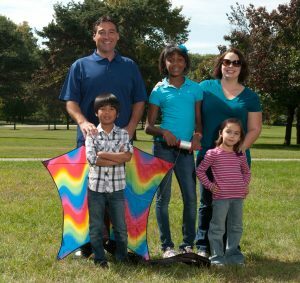 Treatment Foster parents are members of the multidisciplinary treatment team which includes case manager, therapist, supervisor, behavioral aid, and legal parent (where appropriate), working in unison to help the child achieve permanency. • Can have up to 4 children under the age of 17 in the home at any one time. • Assistance from a behavioral aide.